Hpcsim is a 16 nodes 64-bits Linux PC cluster installed at 2006. It was the first 64-bits Linux cluster of the centre. 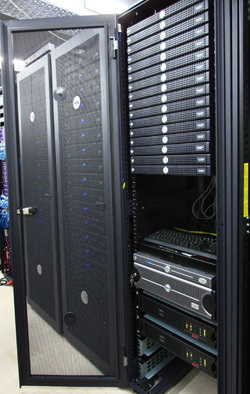 The cluster is consists of 32 cores within 16 Dell PowerEdge SC 1425 compute nodes and 1 PowerEdge 1850 login/management nodes. This cluster mainly supports the department research activities, which require intensive computing power, in the Science Faculty of HKBU.